Twenty days left in Austin. Twenty things I will miss. One a day. That Sky. You know the one. 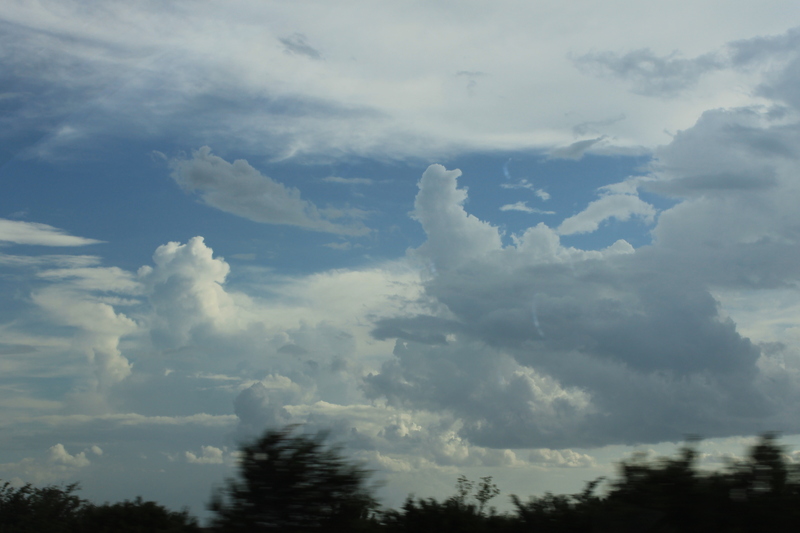 The one that comes between thunderstorms, a phalanx of clouds marching across an endless blue. And the shapes! So many shapes you almost can’t drive safely. 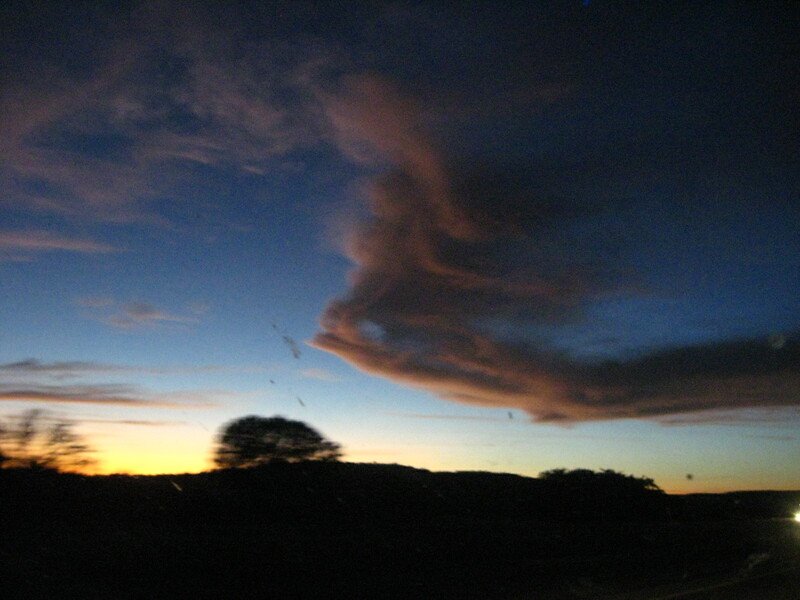 One time, a dragon-fish thing followed me and Nat all the way to Kerrville. If the Pacific Ocean is what I dream of when I am too long between visits back home, the Texas sky will be what I’m thinking of when in New York I suddenly stare off into space. There is nothing so formidable, so inspiring, so unrelenting as this sky. California’s smog makes for the most showy sunsets, but the thunderstorms here inspire religion. I’ve missed this blog. Please continue.